Tucker is for you if you're after a rug with subtle flair. 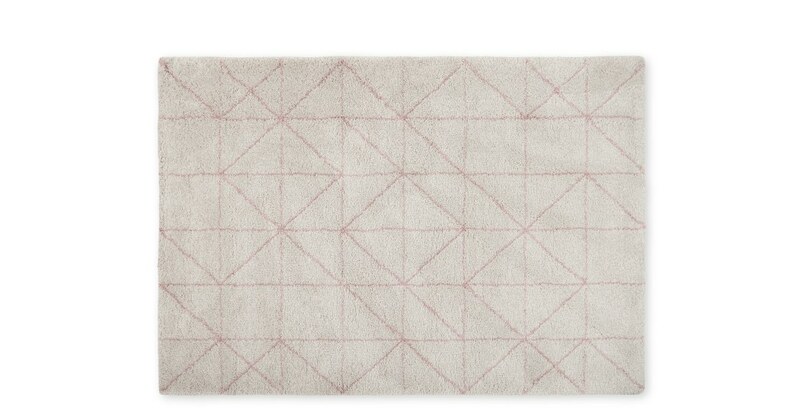 Crafted in Belgium, the clean lines of the simple geometric pattern will uplevel any living room. Plus the shaggy texture is a real treat for the feet. Made with durability in mind, Tucker is super soft, easy to clean, doesn’t shed and is hypo-allergenic. It’s also super affordable so you can get that luxurious look for less. With two neutral colours to choose from, this gorgeous rug will complement any colour palette you already have in your home.